A school in one of Saint John’s most at-risk neighbourhoods once threatened by closure because of low enrolment has seen its population grow, thanks to an influx of Syrian students. Enrolment at Hazen White-St. Francis (HWSF) has grown by 43 per cent since government-sponsored Syrian refugees started settling last year in the nearby Crescent Valley neighbourhood. “We were dangerously close, I would say, to not having enough population to warrant keeping the school open,” said Paul Kelly, who’s been teaching at the school for almost two decades. The Syrian students, from kindergarten through Grade 8, participate in all aspects of student life. Some arrive before 8 a.m. to get breakfast. Hussein Al-Ali, 13, said he’s made lots of friends and he’s active on all the school’s sport teams. On Tuesday, he played on the school’s co-ed soccer team when the Huskies won the semi-finals. “It was pretty confusing. Everything was confusing,” says Al-Ali about his arrival in New Brunswick. In the morning, Syrian students participate enthusiastically in singing the national anthem over the public address system. They also volunteer to help with school announcements in English and in Arabic. In some classrooms, almost half the students are Syrian. “We’re coming close to 50 per cent,” said principal Megan Donovan. Last year, administrators say the school celebrated its first ever multicultural event. “We had such a large audience and to bring everyone together to celebrate, through music and dance and food, it was such a successful evening” said vice-principal Stephanie Marr. 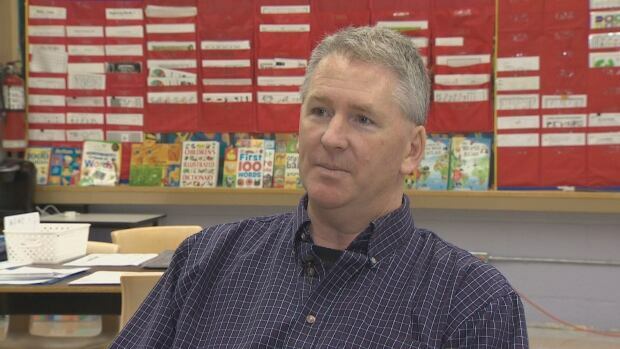 The Anglophone South School District is currently evaluating the future of seven inner city schools in Saint John, where enrolment has been steadily declining. “The status quo is not an option,” said Robert Fowler, chair of the district education council. Fowler, who attended HWSF in his youth, says the Syrian influx doesn’t mean the school will be spared from an overall rationalization plan. “The bump was great to have,” he said. But Fowler said it would take an overall sustained pattern of growth to prompt reconsideration. HWSF was built in 1961 and part of the school is leased from the Catholic diocese. Total enrolment has declined almost every year from 215 students in 2001 to 145 students in 2015.